BALTIMORE, Md. (WABC) -- Dramatic video shows a minivan trying to flee two attackers early Saturday morning in Baltimore. The SUV rammed into two nearby cars, then reverses wildly onto a sidewalk. The van then struck a 27-year-old woman. The woman got lodged beneath the van's tires when it barreled down the sidewalk and almost crashed into another vehicle. The victim is in the hospital with serious injuries. 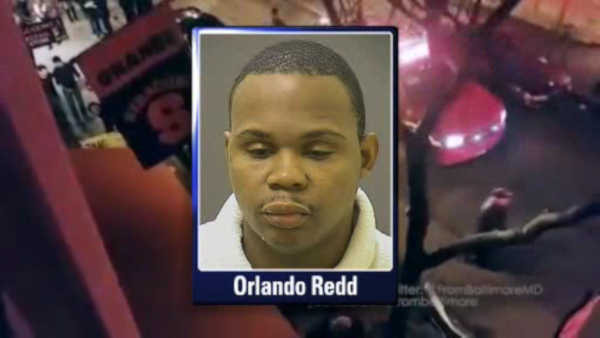 The driver, who has been identified as Orlando Redd, is currently in custody. It is unclear what sparked the incident, but police believe Redd was under the influence of alcohol.